If you are moving into a new home or your old central heating system can no longer meet your needs, having an energy efficient alternative is the right move to make. Installing such a system isn’t something you can manage. There are technicalities, codes, and standards to adhere to. You need a high-flying central heating installation company to do the work professionally and fix everything right for the first time. Eco Efficient Nottingham can provide high-quality installation while offering excellent workmanship. Upgrading an older system can be time-consuming. If you call us, we can take care of your floorboards and fix in a new piping network and radiators. We take precautions from the get-go such that your newly installed system isn’t susceptible to corrosion or faulty pipelines. Other firms want to rush through to get paid, but we walk with you each step until you are satisfied. We don’t bill you if you are unhappy with our workmanship. In fact, we discuss possible options and help you to pick a system that is suitable for you. We are the leaders when you want to know more about boilers and central heating systems models in the market. Eco Efficient Nottingham has built a solid reputation for over 15 years; we are the best in Bingham, Hucknall, West Bridgford, Beeston or Carlton. Our customers keep recommending our services given the commitment and dedication towards the success of any central heating system we have installed in the past. We don’t brag, but we take pride in the positive reviews we keep getting. Our installation experts don’t joke around with customer preferences and satisfaction.When we visit your home, we will operate with utmost courtesy, and we clean up after the job is done. We understand that you want to start enjoying your smart central heating system as soon as possible. As such, we work within your schedule, and we deliver results fast. Some unscrupulous service firms take their time to install, and it could hamper operations at home or work. Our customer service is known to be the best across Nottingham and beyond. We don’t focus on high-quality installation alone, but we take your needs seriously. From the moment you call us, we make you our priority. We have a customer service team that operates 24 hours, and we are ready if your installation wasn’t planned. At Eco Efficient Nottingham, we understand the value of upgrading to an efficient system. We only suggest models and brands that can offer up to 80% efficiency levels. This means you will save your pounds on energy bills. Also, modern central heating system don’t break down easily, and we help you cut your repair and maintenance expenses. 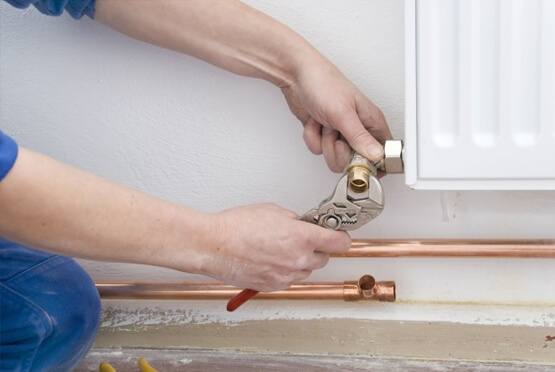 To achieve all-round efficiency, we work with licensed, insured and gas safe experts. We make sure that they are vetted and that they are familiar with every heating system and boiler brand in the market. Call us now, and we will handle your central heating installation needs professionally and within the agreed time frame.